• Costa Family Foundation Onlus (www.costafoundation.org) that is building a new family home in Jhamtse Gatsal in the district of Tawang - Arunachal Pradesh in India. The project is illustrated on this page. • the Association “Alex Zanardi BIMBINGAMBA" non-profit making organization NPA (www.bimbingamba.com) which makes artificial limbs for children who have undergone amputations and do not have access to proper health care. There is a village at the foot of a big hill in the middle of the Karamoja plain. We're in north Uganda, one of the poorest areas on the planet. The village is called Kangole and at the centre of this village, there's an old school, the Kangole Boys Primary School. It was established and continues to exist with the purpose of giving the local children and youngsters options and possibilities. Over the years, it has consistently demonstrated great desire to collaborate and spirit of initiative. One dormitory here houses 233 students, but the conditions are alarming. It rains inside, the windows are broken, and the beds and mattresses are rotten. Most of the students sleep on a floor full of holes, without mosquito nets or light. There are only 8 functioning lavatories for 960 students and the risk of the transmission of diseases is exponential. This difficult situation does not stop the school from showing great sensitivity towards green, agricultural and forestry initiatives, thanks to the tenacity and knowledge of some of its teachers. However, resources are scarce compared to the needs of the entire school. 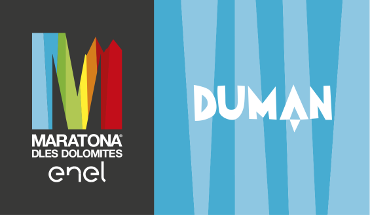 Insieme si può and Maratona dles Dolomites-Enel have chosen to support the future of these young people, providing them with an equilibrium which enables development of a human and environmental kind. In the dormitory, we plan to substitute the roof, the doors and windows; the flooring will be repaired, as will the lighting system. The students will get new beds, mattresses and mosquito nets. A new lavatory with five rooms and a urinal will also be built. At the same time, there will be training courses on agricultural and forestry practices for students, who will be given seeds, plants and agricultural equipment, necessary to produce the food they need at the school and to replant the trees cut for their wood requirements on the school grounds. 960 young students and 43 members of the school staff will experience a better present and future! In the Monpa language, Jhamtse Gatsal means "garden of love and compassion". These are the principles upon which ex-Buddhist monk Lobsang Phuntsok decided to build his community in the district of Tawang - Arunachal Pradesh, India. Arunachal Pradesh may be the most remote region of India, nestled amongst mountains measuring over 4,000 metres high and infinite stretches of unspoilt jungle, closer to Bhutan and Tibet than Indian civilisation. It takes two and a half days by car to reach it from the closest airport and it is precisely for this reason that Lobsang chose this place: "Being located so remotely allows us to preserve our culture and language; we are privileged because no one wants to come up here; this affords us a certain freedom of action, which benefits us". However, it must also be said that such distance from civilisation poses many a problem; poverty is rife here and there is no industry, nor opportunity for trade or employment. Every day, all day, the women on the sides of the road with their children on their backs break stones by hand, making gravel for construction companies. Their houses are small shacks made of mud and stone; electricity comes and goes; a little millet and rice grows on the terraces on the steep mountain slopes. Lobsang welcomes 85 children to its community, each one with a difficult family background. Here in Jhamtse Gatsal, the children live in large families overseen by an Ama, a mother, and they go to school. From kindergarten to high school, they are educated in four languages: Monpa, Tibetan, English and Hindi. Here in Jhamtse Gatsal, dreams of a less desperate and much more beautiful future can come true. In order to accommodate a larger number of children, we are going to build a new family home in Jhamtse Gatsal. Given how remotely located it is, all forms of transport are expensive and building will take a long time. The new family homes will be equipped with a new septic system, also designed as a composting system, which will be used for the production of bio-gas.